As part of the Western Australia Police Force’s ongoing commitment to the quality of crime statistics, a range of improvements have been implemented in this quarter’s release. These improvements will be present in all future releases, and have also been applied to historical data to ensure comparability and consistency. As such any static copies of previous releases, which will not reflect these improvements, should not be compared with future releases. Further align WA Police Force with national standards. Overall, these improvements result in minor changes to the total number of offences reported in crime statistics, however the impact on specific categories varies. Offences relating to ‘Indecent Dealing’ have been moved from the sub-category of Non-Assaultive Sexual Offences and into the sub-category of Sexual Assault. This sub-category more accurately reflects the nature of these offences, based on advice from legal and operational subject-matter experts. This change is applied retrospectively to all years of data, and does not affect the total number of Sexual Offences. A range of other legislated offences have moved between reporting categories or sub-categories. These improvements stem from a thorough review of offence categorisations and reporting practices, and are informed by legislation, legal definitions, national reporting standards, operational use, and consistency with similar State and Commonwealth offences. These changes are applied retrospectively to all years of data. A Counting Rule for Sexual Offences has been introduced which defines circumstances in which recorded instances of Sexual Offences are not included in crime statistics – resulting in a minor decrease in the number of reported offences. This Counting Rule aligns WA to national reporting standards and reduces over-reporting (such as where the recording of Sexual Offences has included unnecessary duplication). This new Counting Rule is applied retrospectively to all years of data, and is supported by recent improvements to recording practices. The pre-existing Assault Counting Rule has been amended – resulting in a slight increase in the number of reported offences. This change improves the accuracy of reporting offences relating to victimisation over extended periods of time, and better aligns WA to national reporting standards. This amended Counting Rule is applied retrospectively to all years of data, and is supported by recent improvements to recording practices. * YTD (year to date) is from July to December. 5 Year Average is the average of the year to date period for the years 2013-14 to 2017-18. Crime statistics are reported based on the location the offence occurred. Crime statistics may be influenced by a wide range of factors; including, but not limited to, population size, infrastructure (such as shopping centres and entertainment precincts), seasonal trends, and the extent to which crime is reported to or detected by police. Consideration should be given to factors influencing crime when interpreting statistics. Crime statistics are updated on a quarterly basis in the last week of January, April, July and October. Offence count data is subject to revision as police investigations may not be finalised at the time the data is published. For an explanation of offence types and terminology, our Quality Statement, and the methodology underpinning the production of WA Crime Statistics, please view the explanatory material. 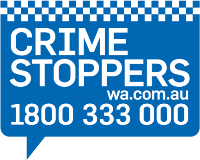 For more information on how you can protect yourself and help prevent crime, view our publications, connect with your local police and report crime through Crime Stoppers. The ‘Year to Date Annual Crime Statistics’ tab provides a snapshot of crime and the crime rate per 100,000 people for the state of Western Australia (WA), the two Regions (Metropolitan and Regional WA) and each individual police district. The ‘Crime Time Series Data’ tab provides crime data for the state of Western Australia (WA), the two Regions (Metropolitan and Regional WA) and each individual police district from January 2007 onwards. The Explanatory Material provides information to assist with understanding the WA Crime Statistics data. It includes information on how WA Crime Statistics are collected, processed, defined and counted. For information on the meanings behind the offence names please refer to the Glossary. If you are interested in a brief overview of the quality of the WA Crime Statistics, please refer to the Quality Statement. If you are interested in understanding how crime data is compiled and the methods underpinning this, please see the Explanatory Notes.